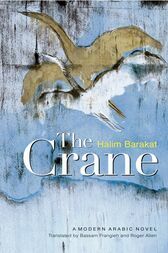 In The Crane, the renowned Syro-Lebanese author and sociologist Halim Barakat creates a narrator who looks back wistfully on a childhood in a small village of Syria, with the image of flying cranes and in particular one wounded bird as a continuing symbol of his emotions toward the past and its impact upon his life. The narrator then travels to the United States, and, with his wife, goes through the experiences of American college life in the 1960s. He describes his participation in the political protests during that fraught decade, and goes on to depict his later life in the American capital of Washington DC and its surroundings. The link between narrator and author is clearly a close one, and yet the careful way in which the narrative's sequence is constructed allows the reader to invoke the world of the imagination in interpreting this nostalgic account of a Middle Eastern childhood and its international aftermath. HALIM BARAKAT is a novelist, critic, and scholar of sociology, who recently retired from a long career on the faculty of Georgetown University in Washington DC. Among his scholarly works in English are: Visions of Society: Reality in the Contemporary Arabic Novel and The Arab World: Society, Culture, and State. BASSAM FRANGIEH is a scholar in the field of modern Arabic literature. He has published a number of studies of important modern Arab poets and is a translator and anthologist. He has taught at several American institutions, most recently Yale University.ROGER ALLEN is professor of Arabic language and literature at the University of Pennsylvania. Among his translations from Arabic literature are Naguib Mahfouzs Mirrors (AUC Press, 1999) and Karnak Café (AUC Press, 2007).